Amalgamated Regional Trading (ART) revenue for the full-year to September 30, 2018 rose 40 percent to $46,9 million on increased demand and improved production output in the battery business. The battery division recorded $32 million revenue, representing 42 percent growth from prior year as it remains the group’s cash cow. During the period under review, the group battled foreign currency shortages which resulted in difficulties in importing essential raw materials and settling debts to foreign creditors. The group, however, managed to negotiate offshore trade facilities and increased exports in order to sustain operations. Operating profit jumped 46 percent to $7,3 million compared to $5 million achieved in the prior year. Gross profit margins, the Zimbabwe Stock Exchange listed group said, dropped 3 percentage points to 39 percent on the back of cost increases in the second half of the year across the business units. ART said the focus on exports also diluted margins as penetration pricing strategies were implemented in the regional market. Cash generated from operations rose 55 percent to $5,2 million and was applied towards creditors and loan repayments. Due to improved profitability, ART strengthened its balance sheet and significantly improved its net asset position to $1,4 million from a net liability of $4,8 million in the prior year. The batteries business recorded a 29 percent growth in volumes on improved product availability following additional investment in the factory bottleneck areas. 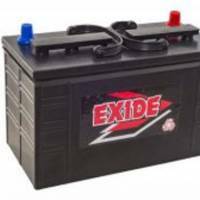 During the period under review, the group expanded Exide Express’ network and this was supported by increased promotional activities such as rebranding of Mutare and Motor City Harare branches. Sales volumes for Chloride Zambia increased by 34 percent while revenues rose 17 percent to $6,3 million. The paper division’s operating profit surged 508 percent to $0,73 million from $0,12 million on improved efficiencies and a 7 percent volumes increase. Eversharp remained under pressure from imitation pens that flood the market and achieved an operating profit of $0,81 million. At $0,61 million, operating profit at Softex was 79 percent above prior year’s $0,34 million. Its revenue increased 37 percent to $9,8 million, but hygiene products were affected by raw materials supply gaps. The Mutare business continued with sustainability measures initiated in the prior year and saw revenue jump 55 percent to $2 million driven by strong timber demand. The group did not declare a dividend to preserve capital to settle outstanding foreign creditors as well as fund capital expenditure projects.